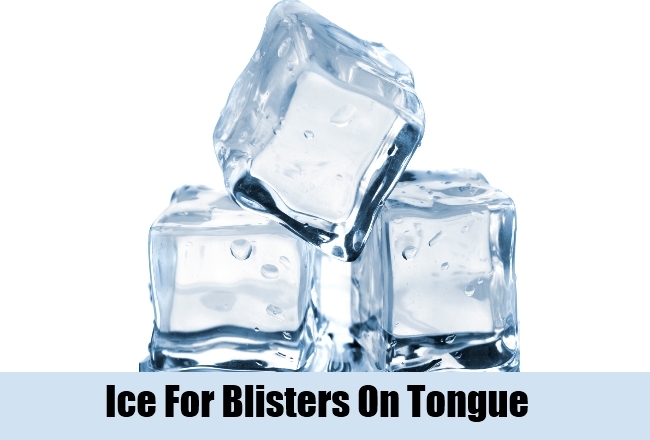 [toc]Blisters on the tongue can be an immediate condition that you suddenly might undergo. There can be a lot of reasons associated with the problem which is both internal as well as external. However, more than what the cause behind the problem is, one should be easily open to new ideas of home remedies for the successful treatment. Take a cup of lukewarm water and to this add about half a teaspoon of salt. Now rinse and gargle the mouth with this liquid at least 3-4 times in a day. This will really help in triggering the treatment of the blisters as well as reduce the pain associated with it. Salt water is known to provide soothing properties as well as has the ability to treat inflammation. Swish the solution in the mouth and the tongue to get maximum benefits. 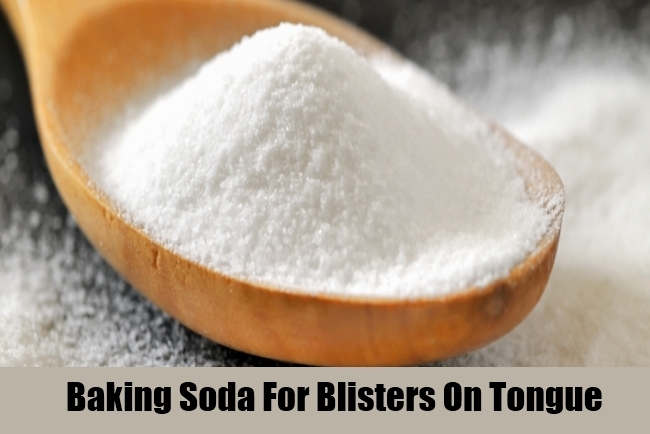 Another effective home treatment for boosting the curing process of blisters on the tongue is to swish baking soda solution in the mouth. This can be done by mixing ½ a teaspoon of the powder in lukewarm water.It is known for its antibacterial and anti inflammatory properties that will also reduce pain on the tongue. It is a gradual process that needs to be followed at least 2-4 times in a day to get visible outcomes in about 10 days time. Make a fresh paste of turmeric with raw and organic honey where about half a teaspoon of turmeric is mixed with a tablespoon of honey. Now apply this paste on the blisters on the tongue. This should be done with a clean finger. This should be left for about 3 minutes to help it penetrate well into the blister. However, the paste should not be swallowed. 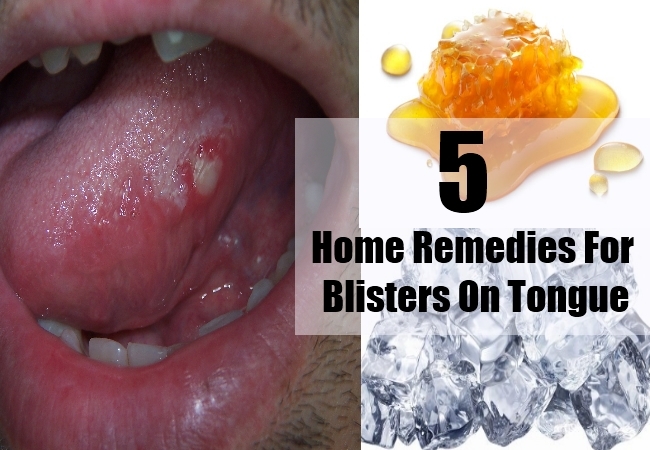 Follow this twice everyday to get maximum advantage on the home treatment of blisters on the tongue. Applying ice directly on the blister is another home remedy that you can use to your advantage. It will reduce the inflammation and the pain that you are experiencing in the mouth. Those who do not have ice can swish the mouth with ice cold water for the same results. This should be done on a routine basis. 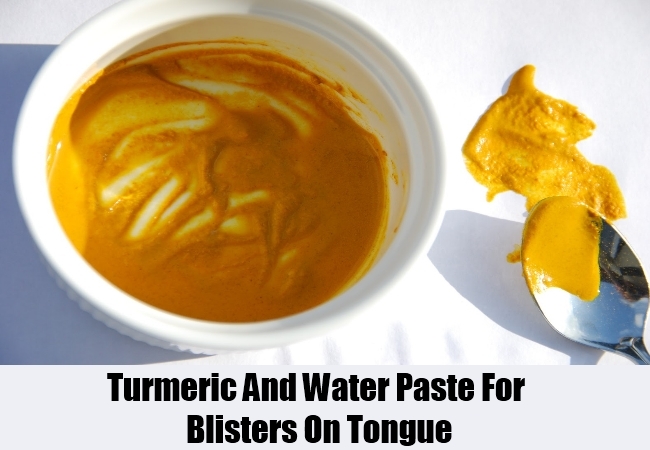 A paste can also be prepared by mixing turmeric powder with water and then applied on the blister in the same way as mentioned above. The paste should not be consumed and should be cleared after about 3 minutes. 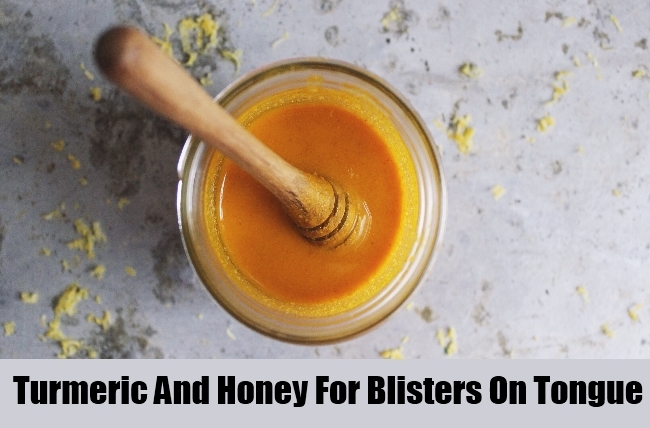 The anti inflammation properties of turmeric will work brilliantly on the blisters. Follow it daily for visible outcomes sooner rather than later. Turmeric can also be substituted with baking powder and the paste can again be applied in the same way to get same outcomes in hand.